When you work for yourself, your maternity leave can be whatever you want or need. It’s up to you to decide! I am the most obnoxious pregnant woman you could ever have the misfortune to meet. I gain only 15 pounds and I run over to the hospital to have the baby in-between ballet classes. For real, my water broke during dance class with my first baby. I finished the class, went home to take a shower and then went to the hospital and had the baby. Okay, so I’m skipping a few details about the having the baby part. But let me say that if God wanted us to suffer during childbirth, she would not have invented epidurals. When I was in labor with my second baby, the nurse brought in a menu of pain control options, I quickly ordered one of each. I mean, why not have the tasting menu? Six weeks before my second baby was born, I had an avalanche of new work. Of course. I had a meeting with a prospective client and my husband walked me out to my car. I was a little cranky. 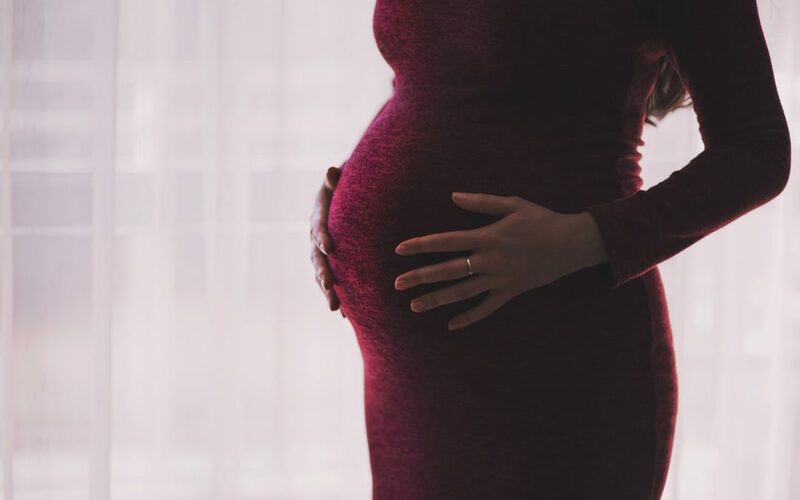 He said, “You seem a little stressed.” I grumpily replied, “You try having what equates to a job interview when you’re 34 weeks pregnant.” The meeting went well and I was offered two important projects. The recession was tough on everyone and at this point we still had some financial ground to make up. We had a family discussion and agreed that I would take on these two new projects. I already had two other big clients in process. My husband would pick up more responsibilities on the domestic front. I immediately jumped in full steam ahead to conquer the start-up learning curve before the baby was born. The baby was born in the morning and I got up to my room around mid-afternoon. I sent my husband home for a shower and the new little baby was sound asleep. I didn’t feel like watching TV or reading a magazine so I got out my laptop and dove into emails. I spent the night in the hospital and came home the following afternoon. I have such easy pregnancies that I come home feeling good. I spent the first couple of weeks blissfully cocooned with my family working all the while. The little guy was very easy-going and slept well in a basinet in my office. During the first couple of months my husband and newborn came along to any meetings I needed to attend. They would stay out in the minivan sleeping and watching Netflix while I was inside. We all felt better being just a text message and a few short seconds away rather than a 30-minute drive. The important point here is that when you work for yourself, your maternity leave can be whatever you want or need. It’s up to you to decide! None of my clients had any idea I was expecting a baby. I do most of my work remotely and it was easy enough to conceal the pregnancy for in-person meetings with some careful dressing and casually holding something in front of me at all times. A person can be incapacitated by a medical condition at any time so I didn’t feel any obligation to tell them I would be having a baby. I did not expect it to affect my ability to get the work done and it didn’t. With that said, some of my colleagues have taken several months of maternity leave completely away from their businesses. Some women shut down completely, some scale back, some have people cover some of the work, some automate what they can, etc. Again, the important point here is that you get to choose the maternity policy, not have someone else dictate it for you. Of course, you’re on your own for the financial piece. Please join the Billable with Baby® Community for more ideas on how to handle maternity leave and working with baby. We are a group of ambitious mothers starting and running successful consulting businesses. We empower working mothers to have meaningful careers with the flexibility to raise their children the way they wish.